Finance drove and shaped the interstate highway system. Fifty years later, many planners and urbanists are still asking Eisenhower’s question: Why did the United States, unlike every other developed country, choose to mass-produce freeways in cities? 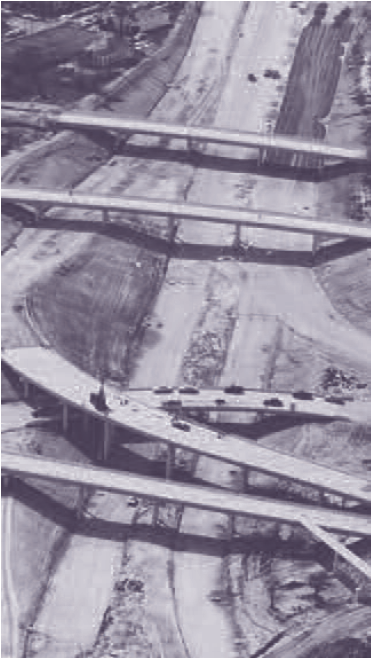 What caused the Interstate Highway program to urbanize, decisively shaping both intracity travel and American cities? Other questions about America’s unique urban freeway systems abound. 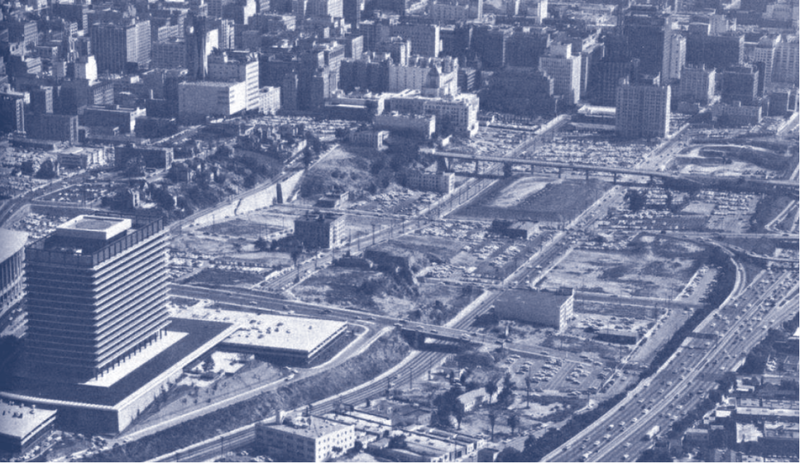 Why did the Interstate program shift control over crucial metropolitan transportation decisions from city halls to statehouses and Washington? Why are urban freeways not nimble, context-sensitive facilities but the large, ungainly ones we have today? Why did poor, predominantly minority communities in the inner city, and newer low-density communities on the suburban fringe, bear the brunt of freeway construction, while established, better-heeled neighborhoods were spared? And why did freeway-building explode onto the scene so dramatically, only to flame out just as spectacularly such a short time later? The development of metropolitan freeways is a powerful testament to the ways that money—the constraints caused by the lack of it, the means of raising it, the politics of dividing it, and the policies for spending it—can powerfully, even decisively, shape transportation outcomes. In the early years of the 20th century, urban transportation was funded at the municipal level. Property taxes and special assessments paid for street networks. Since these taxes were levied and collected locally, local officials had authority over the transportation system. Thus it was municipalities, armed with locally-generated revenue streams, that struggled to cope with the tidal wave of automobiles that flooded city streets as the car became a mass market good. Auto registrations rose from 8,000 in 1900, to half a million in 1910, to over 8 million in 1920, to over 22 million in 1930—a more than 2,700-fold increase in just 30 years. In an effort to deal with the congestion that resulted, cities hired consultants from among a small coterie of planners and engineers to map out plans to accommodate the car. These consultants, who included planning pioneers like Harland Bartholomew, Charles Cheney, and John Nolen, usually recommended operational fixes like widening and standardizing streets, eliminating jogs and dead ends, installing traffic signals, funneling traffic onto main thoroughfares, and segregating different types of traffic (i.e. streetcars, autos, trucks, and pedestrians). For a time these measures provided congestion relief, but the ever-increasing number of autos meant that more radical approaches were soon needed. Most cities had the technical and financial means to widen their streets, install traffic signals, and carry out other operational fixes. But they lacked the means to shoehorn extensive freeway systems into dense urban areas. One problem was that the tax instruments available to local governments were not appropriate for the task. Local governments had the authority to levy taxes and special assessments on property and businesses, but not, for example, on fuel. The property tax is a sensible mechanism for financing local streets and roads, because these streets link individual land parcels to the world and help give them value. It is thus logical for property owners to help pay for local street construction. Freeways, however, affect the value of property across the entire metropolitan area, not just of nearby parcels. This makes it hard to justify special assessments on freeway-adjacent properties, since the majority of a freeway’s benefits accrue to travelers and landowners over much larger areas. (Indeed, being too close to a freeway can lower land values, particularly for residential property.) And in any case, property tax revenues were inadequate for building even relatively modest freeway facilities, much less networks of them. A potential solution to these problems emerged in the 1920s with the development of the gas tax. As a way to finance freeways, gas taxes had much to recommend them: they placed the tax burden on users of the system, they were relatively easy to administer and collect, and they were robust. Property tax revenues nationwide plummeted 72 percent during the Depression years of 1930 to 1939, but fuel consumption and its associated tax revenues proved surprisingly resilient. Except for a small dip at the beginning of the Depression, fuel consumption rose every year until World War II. As a way to finance freeways, gas taxes had much to recommend them: they placed the tax burden on users of the system, they were relatively easy to administer and collect, and they were robust. But the gas tax had one key drawback for cities: the revenues were collected at the state and later the federal levels. Accepting outside funding would mean accepting outside control. City officials thus faced the Hobson’s choice of giving authority over metropolitan freeways to the states, or foregoing most of their ambitious plans. With congestion worsening, city officials had to act. So in the dozen years following the Second World War most cities ceded authority over the planning, development, and operation of urban freeways to state highway departments and the engineers who staffed them. Transferring control from municipal to state (and later federal) authority needn’t have meant abandoning the locally-developed metropolitan freeway plans. But with state money and state authority came state ideas. State highway departments had a rural orientation; they were primarily responsible for rural roads and their engineers were disproportionately from rural areas. The state highway engineers typically focused on high-speed farm-to-market and intercity access, increasing access to remote areas, rural economic development, and reducing rural road accidents. They also sought to maximize traffic flows on new high-speed facilities; in the eyes of state highway engineers, the challenge facing rural roads was not that they attracted too much traffic but that they often attracted insufficient traffic to justify the investment. For the most part state highway engineers lacked a holistic view of freeways’ place within the larger urban organism. Context, land use, and multi-modalism were largely absent from their plans. For example, many early freeway plans called for frequent interchanges in order to alleviate the burden of traffic spillover on nearby streets, but state highway engineers sought to minimize the number of interchanges in order to speed traffic, discourage short trips, and reduce costs. This rural-centered focus on high-speed superhighways, even in cities, was gradually etched in stone and would become—for better or worse—a hallmark of the Interstate system. Planners proposed one such approach: a new type of road that adapted design principles from facilities intended for recreational motoring. In the late 1800s, real estate developers discovered that access to parks could boost property values. To capitalize on this they built “parkways,” roads that scenically linked their developments to nearby open space. 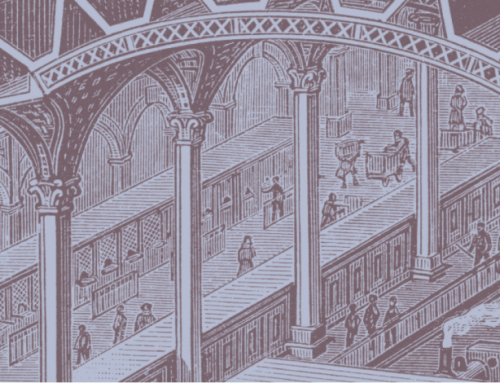 The builders of parkways took advantage of two crucial design features. Limited access to the roads prevented slow-moving vehicles from unpredictably entering and exiting the traffic stream. This meant less disruption to traffic, a reduced risk of collisions, and less cluttering of streets. Grade separation at intersections eliminated the need to stop at cross streets, increasing speeds on both roads and effectively doubling the parkways’ vehicular capacity. Limited access to the roads prevented slow-moving vehicles from unpredictably entering and exiting the traffic stream. Where parkways were recreational facilities, early plans for freeways were utilitarian, designed to untangle the jams of autos, streetcars, trucks, buses, and pedestrians that cluttered American cities. They envisioned roads far different from those we know today. These freeways would have had fewer lanes (typically four), lower design speeds (usually 45 mph, though by the 1930s most new cars were capable of going much faster), and smaller, simpler interchanges. Building them would have required displacing some homes and businesses, but far fewer than were eventually displaced to accommodate the much larger freeways eventually constructed. The early freeway plans also called for dense networks of highways, with an eye towards dispersing traffic, not concentrating it on a few large facilities. And land use was integral to many of the early plans; the freeways were designed to cut with the urban grain, not against it. Proposed joint highway/real estate developments were not uncommon, and in some cases freeways were to be multi-modal, with transit vehicles traveling in the medians. Finally, some early plans called for gridiron as opposed to radial layouts to disperse traffic across rapidly decentralizing cities. 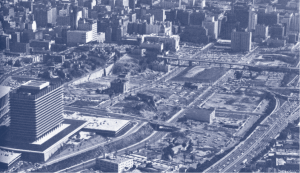 Though the state departments of transportation took over most metropolitan highway planning in the late 1940s and early 1950s, during World War II and the years that followed little progress was made in building freeways either within or outside of cities. The national Interstate Highway System was adopted in 1944, but the program lay nearly dormant for over a decade. The dearth of freeway building at either the state or federal levels was largely due to a lack of funds. Only California surged ahead with state construction of metropolitan freeways, which is one reason its model of state-directed urban freeway development would later be copied nationwide. California’s pioneering role can be traced to finance: to pay for its freeways the state passed steep tax increases on fuel and trucks in 1947. In contrast to California’s decisive action, it took a dozen years of false starts and dead ends before the financing system for the massive national network could be crafted. That schema required the cobbling together of a diverse coalition of interests to support the substantial tax increases needed to fund the system. In political terms, the creation of this coalition was a triumph. But in transportation terms the outcome was decidedly mixed. 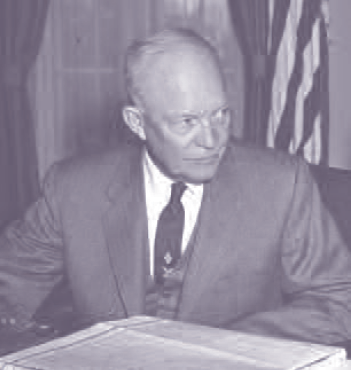 The final, landmark legislation that turned the beliefs of state highway engineers into “facts on the ground” also sounded the death knell for the vision of the early metropolitan transportation planners, and introduced financial incentives that would have important unintended consequences for urban freeway development. 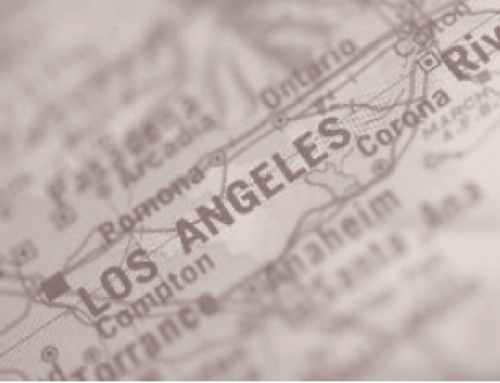 In contrast to California’s decisive action, it took a dozen years of false starts and dead ends before the financing system for the massive national network could be crafted. In 1955, Congress soundly defeated yet another piece of legislation to fund the Interstates. A year later, similar legislation easily passed both houses and was signed into law. Why did Congress have such a sudden change of heart? First, the 1955 bill faced opposition from the rubber, petroleum, trucking, and intercity bus industries, as well as the Teamsters and the American Automobile Association. 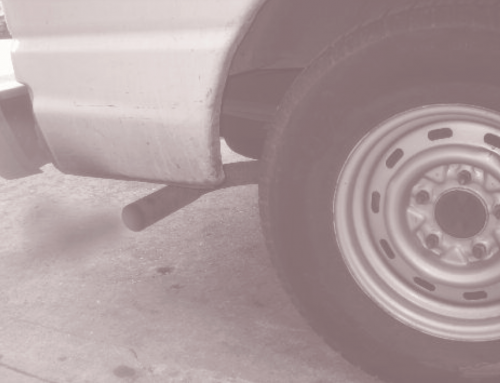 The former organizations objected to proposed tax increases on fuel and tires. The trucking industry protested that taxes on diesel fuel and other levies on heavy vehicles were too onerous; the AAA protested they were too light. In addition, urban members of Congress were generally uninterested in what was widely perceived as a rural intercity highway bill. The original Interstate highway plan adopted in 1944 had explicitly left the urban portions of the system unplanned, with the routes to be located and designated later. While this deference represented an enormous tip of the hat to urban transportation planners, it also meant urban legislators failed to grasp the implications of the proposed freeways for their districts. In order to capture the imagination (and support) of urban congressmen, in 1956 federal highway officials hastily sketched out the urban segments of the system. In a planning process lasting only eight months, deference to local transportation planning and urban concerns was cast aside and routes were hurriedly laid out for one-size-fits-all superhighways through cities large and small around the country. In order to capture the imagination (and support) of urban congressmen, in 1956 federal highway officials hastily sketched out the urban segments of the system. 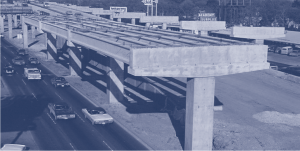 To overcome opposition to the tax increases, the congressmen, federal highway officials, and interest group members (particularly from the construction industry) who formed the core of the interstate lobby created the Highway Trust Fund. The Trust Fund guaranteed that all new revenues from fuel and other taxes would be dedicated only to highways. Dedicating the revenue secured widespread political support, even from the interests being taxed, and at the same time conjured up an avalanche of money. But it also narrowed the possibilities for freeway building. Dedication of money to the Trust Fund, for example, meant that plans including transit were jettisoned in favor of highway-only facilities. The rules governing the financing of the system had other important effects. Prior to the Interstate program, the federal government had matched states’ expenditures on federal-aid highways on a 1:1 basis. Beginning in the early 1950s this ratio began to rise, reflecting bi-partisan enthusiasm for highway development and a fear that states might not prioritize Interstate construction. Finally, the 1956 legislation settled on a terrifically generous 9:1 match. This meant that states could best leverage their transportation dollars on Interstate spending. Predictably, to maximize the buying power of their revenues, states all but dropped plans for smaller, less invasive complementary facilities and concentrated their resources on new Interstates. To create a limited system of superhighways, the federal legislation capped the centerline mileage of Interstate highway each state was permitted to build. While this was perhaps a sensible way to manage the extent of the system, the limit encouraged states to concentrate traffic onto sparse networks of freeways, in a sharp contrast to what was proposed by early metropolitan freeway plans. Moreover, while capping mileage, the federal government did not cap expenditures; this encouraged the building of roads with as many lanes and bells and whistles (weaving sections, elaborate interchanges) as possible. The resulting sparse networks of very high-capacity urban freeways disrupted cities more than the planners’ original vision of denser, smaller, often multi-modal networks would have. Financial considerations also dictated that during the early years of the program the Interstates were built with terrific haste. The increases in fuel and other taxes brought in so much money in the decade after 1956 that state highway engineers literally couldn’t build planned freeways fast enough; states were forced to quicken the pace of Interstate construction for fear that unused funds might be reallocated. This decade of rushed freeway construction offered planners and engineers limited opportunity to learn from their mistakes. Financial incentives also helped to ensure that the burden of freeway construction fell disproportionately on lower-income neighborhoods. Financial incentives also helped to ensure that the burden of freeway construction fell disproportionately on lower-income neighborhoods. 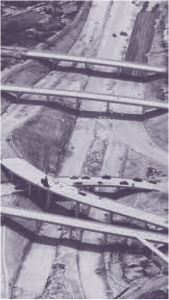 While freeway builders had lavish funding at their disposal in the early years, their desire to quickly complete as much mileage as possible drove them to start with the inexpensive low-hanging fruit: suburban segments (which required minimal displacement of existing homes and businesses) and routes through lower-income central city neighborhoods (where land costs were lower and organized political opposition was weaker). 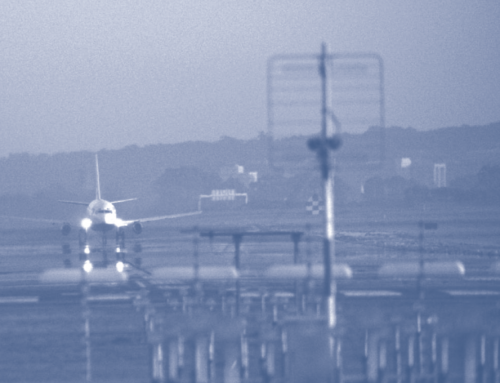 Higher-cost routes, by contrast, were often moved down in the queue. But by the time these more expensive (and often controversial) segments were ready for construction, money had begun to run short and the freeway-building program was winding down. Thus many of these routes (like a planned freeway through Beverly Hills) were shelved and never built. The rapid ascent of freeway-building was matched by an equally rapid demise. 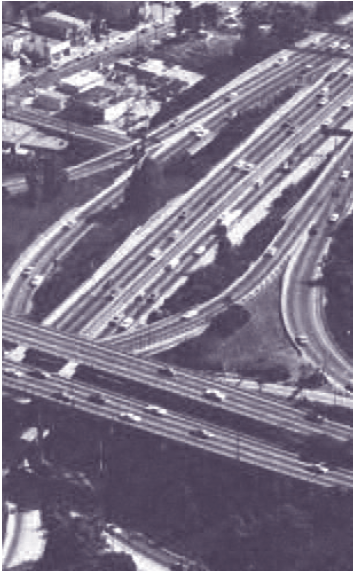 By the mid-1970s, only 20 years after the program commenced, urban freeway construction had slowed to a trickle, even though the system remained well short of completion. like the National Environmental Policy Act (NEPA), which was signed into law in 1970, shapes transportation planning to this day thanks in part to popular discontent with freeway-building. But the more significant cause of the freeway program’s premature sunset was simpler: it ran out of money. Stagnant real revenues and escalating costs for labor, materials, and rights-of-way (all of which rose considerably faster than inflation) doomed the program, which was waning well before most freeway revolts began. Chronic fiscal shortfalls resulted not so much from a conscious effort to terminate the freeway program as from benign neglect and political inertia, as public officials turned their collective attention elsewhere. Moreover, freeway building ironically carried some of the seeds of its own demise. With the exception of immediately adjacent residential parcels, freeways generally increase surrounding land values, especially in new, outlying suburbs. Thus when new freeways were proposed, speculators often rushed to purchase land in the proposed corridor, thereby raising property values and driving up right-of-way costs for the departments of transportation. With the exception of immediately adjacent residential parcels, freeways generally increase surrounding land values, especially in new, outlying suburbs. By the 1970s, the fiscal shortfalls were so dramatic that dozens of locally popular routes to which there was little opposition were shelved—evidence that dollars, and not dissent, were the primary force behind the withering of the freeway-building program. Today, we have in many ways come full circle and returned to the outlook of the early 20th century urban planners. The current highway planning process is a well-intentioned if sometimes quixotic effort to ensure that the mistakes of the Interstate-building era will never be repeated. Cities and regions now have much more input into and control over their transportation destinies. To a large extent we have moved from embracing to tolerating autos, from circumventing stakeholder objections to facilitating stakeholder input, from fostering auto-oriented suburban expansion to encouraging less auto-dependent forms of development, from constructing major new highways to mitigating the effects of transportation facilities, and from focusing on metropolitan freeway networks to multimodal planning with an emphasis on transit in larger cities. 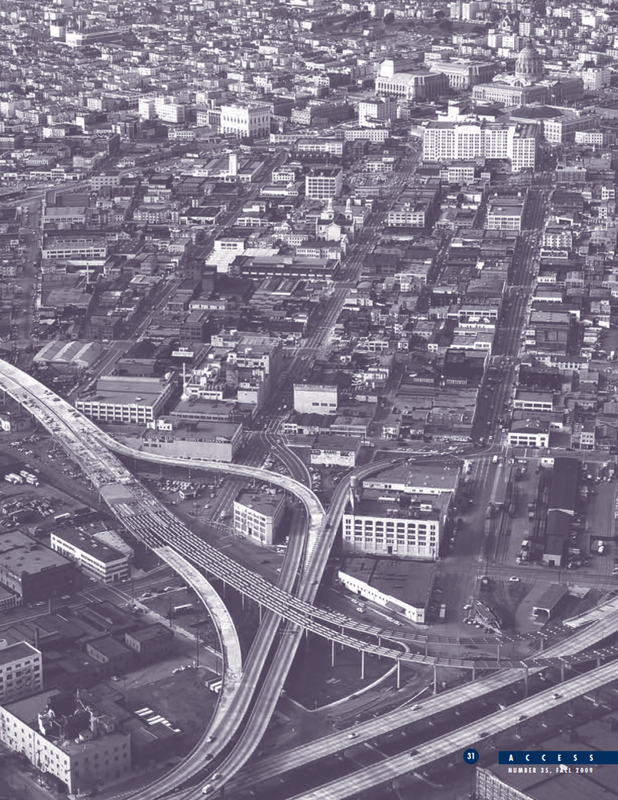 Regional transportation plans and proposals today—like those crafted before the freeway-building era—reflect a wide array of urban concerns, including reducing congestion, preserving central business districts, improving public transit, and reviving depressed communities. And yet it is possible the pendulum may have swung too far. An era of comprehensive, centrally-directed planning has given way to an era of piecemeal, atomized planning that often lacks coordination, direction, vision, or, importantly, a sustainable stream of revenue. The freeway era of fantastic financial largesse has given way to one of comparative penury, as cities and regions scramble to cobble together funds for popular individual projects—another way in which the modern planning paradigm resembles that of the first half of the 20th century. Instead of fuel taxes, general sales taxes and public debt increasingly fund projects, a change that abandons the user-fee logic of the past and brings a very different set of constraints and incentives. The freeway era of fantastic financial largesse has given way to one of comparative penury, as cities and regions scramble to cobble together funds for popular individual projects—another way in which the modern planning paradigm resembles that of the first half of the 20th century. President Obama’s 2009 stimulus package momentarily changed this calculus; once again boom replaced bust in transportation finance. In the haste with which the funds were allocated, the stimulus harkened back to the Interstate era. Thus it is wise to remember the unintended consequences this kind of spending can have. Interstate backers wanted to build freeways, and were willing to make many financial compromises to do so. Freeways were built, in spectacular fashion, but the unforeseen and sometimes harmful results of their achievements reverberate to the present day. 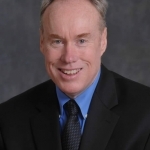 Jeffrey R. Brown. “A Tale of Two Visions: Harland Bartholomew, Robert Moses, and the Development of the American Freeway.” Journal of Planning History 4 (1). 2005. 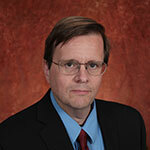 Jeffrey R. Brown . “From Traffic Regulation to Limited Ways: The Effort to Develop a Science of Transportation Planning.” Journal of Planning History 5 (1). 2006. Jeffrey R. Brown , Eric A. Morris, and Brian D. Taylor. “Planning for Cars in Cities: Planners, Engineers, and Freeways in the 20th Century.” Journal of the American Planning Association, 75 (2). 2009. Brian D. Taylor. “Why California Stopped Building Freeways.” Access 3. 1993. Brian D. Taylor. “Public Perceptions, Fiscal Realities, and Freeway Planning: The California Case.” Journal of the American Planning Association, 61 (1). 1995. Brian D. Taylor. 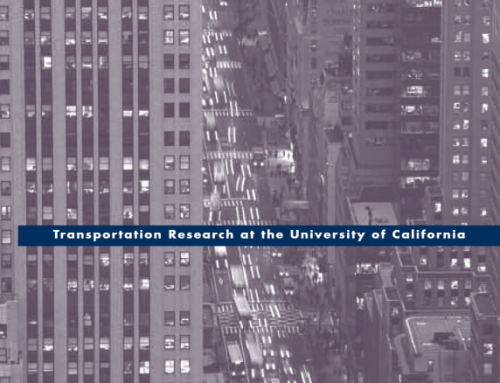 “When Finance Leads Planning: Urban Planning, Highway Planning, and Metropolitan Freeways in California.” Journal of Planning, Education and Research, 20 (2). 2000. 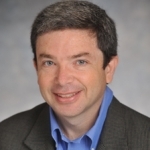 Eric A. Morris is Associate Professor of City and Regional Planning at Clemson University.